Our security alarms are monitored every second of every day, providing total protection. If you want to protect your property from intruders, IDS can help. We are specialists in the design, installation and maintenance of high quality intruder alarm systems; these systems are monitored around the clock from our monitoring station, and our engineers are on call 24 hours a day, 7 days a week, 365 days a year (when you take out a maintenance contract with us). 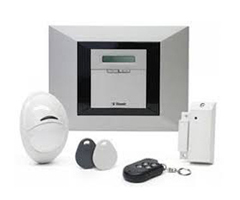 Intruder Alarms: Why Choose IDS? Based in Cardiff, South Wales, IDS Security Systems Ltd are the experts in cutting-edge security solutions. We have been designing and installing intruder alarm systems for many years, and this experience – combined with our 24-hour monitoring and engineering service for maintained customers – has made us the security provider of choice for homes and businesses alike. All of our security alarms are installed in compliance with the latest PD6662 British Standards, the Codes of Practice as laid down by the National Approval Council of Security Systems (NACOSS), and the Codes of Practice as laid down by the Security Systems and Alarm Inspection Board (SSAIB). 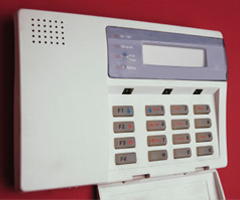 To request a quotation for your own intruder alarm, please give our Cardiff office a ring on 029 20 753 251. Anyone can install an intruder alarm, but the help of an experienced and reliable provider is absolutely paramount to the effectiveness of any security solution. Here at IDS Security Systems, we have more than two decades of experience in the design, installation and maintenance of intruder alarms in commercial, public and residential buildings of all sizes.